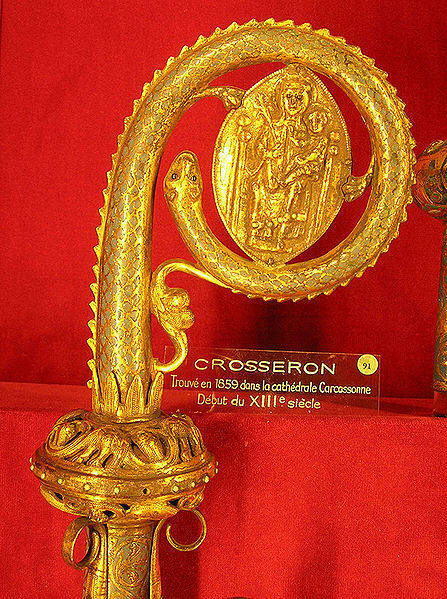 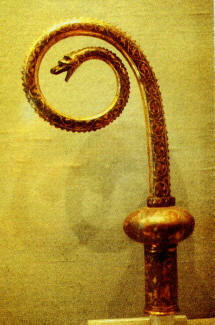 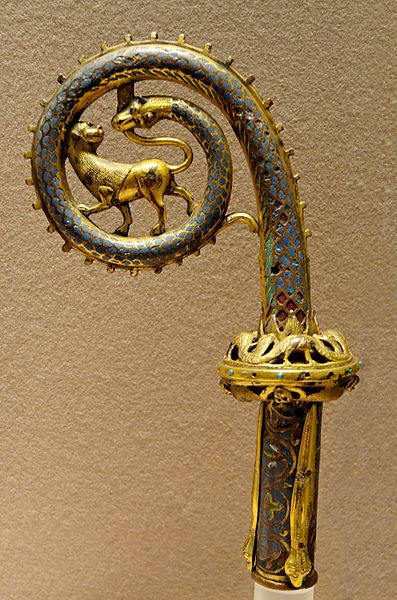 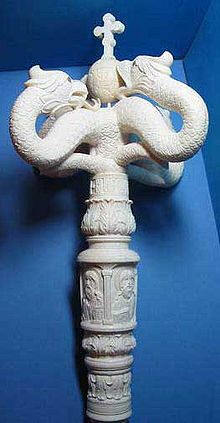 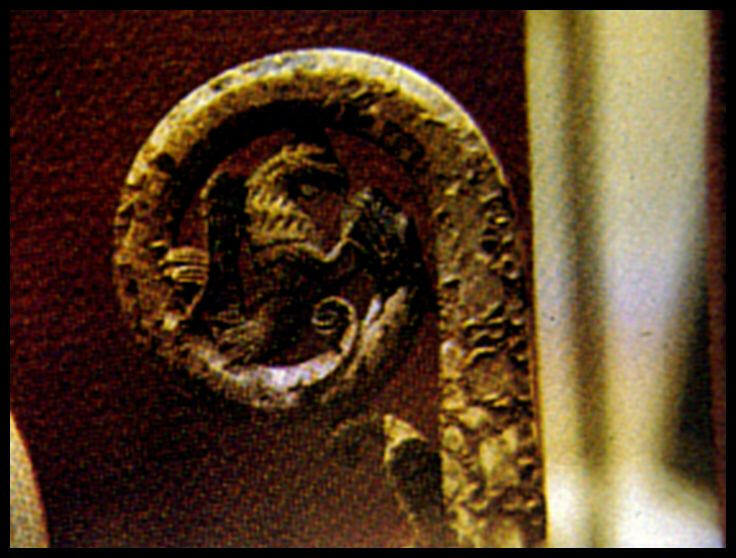 Russian Orthodox bishops crosier XVI c.
Gold crozier from Carcassonne, 13th century (Musée de Cluny). 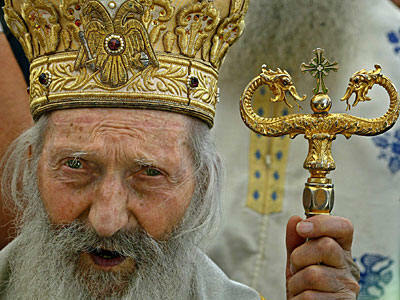 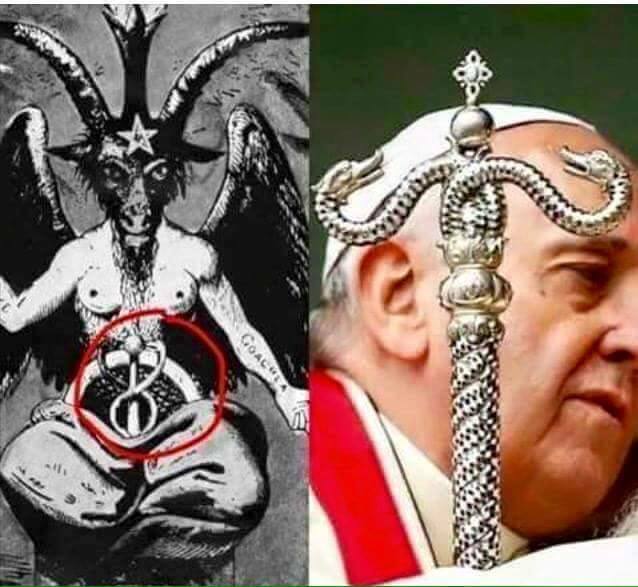 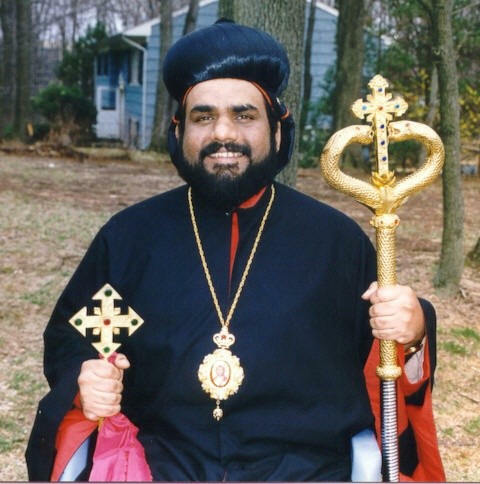 Religious Luciferian symbols Russian Orthodox Catholic Church. 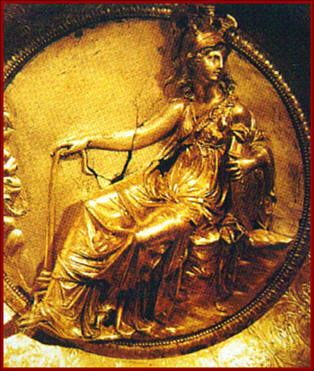 Phoenix on hat.